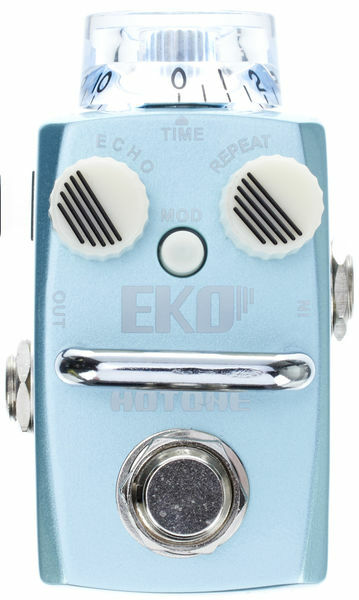 The Hotone EKO pedal is a digital delay stompbox with a direct analogue signal path that achieves that classic, natural echo tone. The sound is pure, rich, and warm, and you can press the MOD button to get a deeper spacey feeling. Maximum delay time is approximately 500ms. 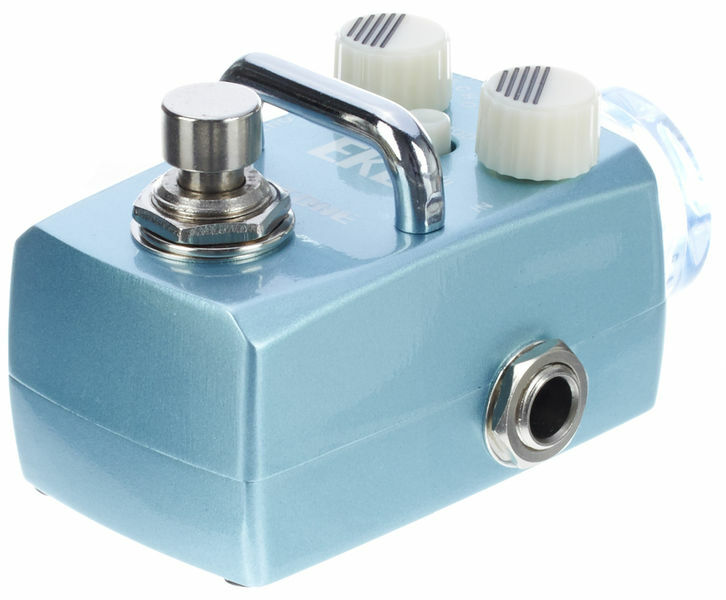 Pure, warm, and natural echo tone--an excellent ambience maker. Digital Delay Line assures enough delay time and a pure signal path. 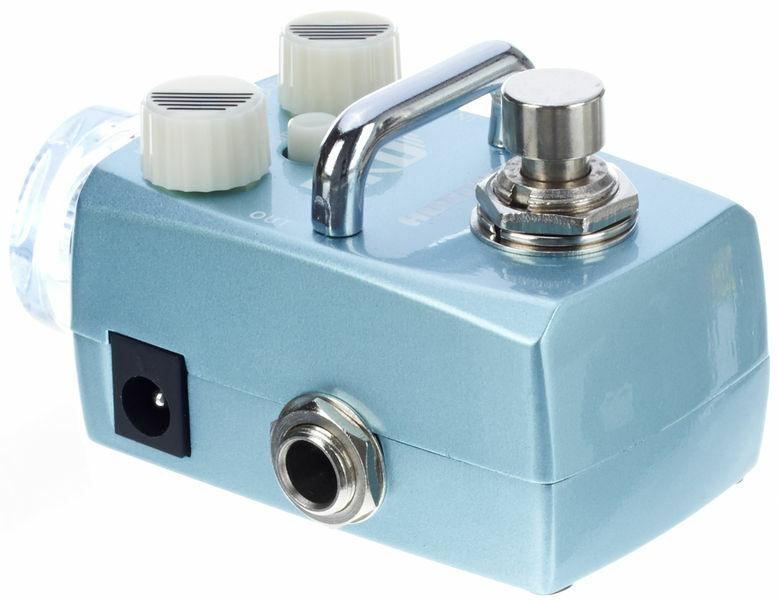 Elaborate analogue circuit makes the sound closer to a classic echo tone. Additional MOD push-button gives you even more space!